1. Preheat oven to 450F. Remove husks, and silks from corn. Melt butter and set aside. Mince garlic, and place into the bowl with butter. Add in olive oil, and pepper flakes. 2. Mix all ingredients together. 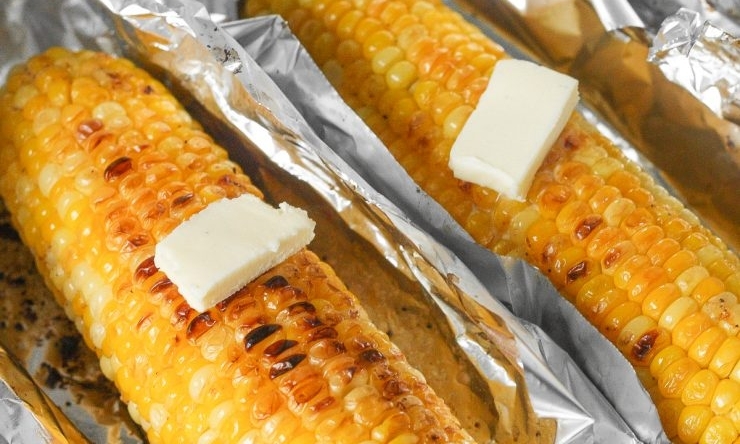 Tear 4 pieces of foil, and place each corn onto each piece of foil. Brush mixture onto each corn. Wrap the corn placing onto a cookie sheet. Bake for 30 minutes.